I got the idea for this from an advert on TV the other day - it was black with gold and silver dots, and it reminded me of these stamps. I used my MISTI to stamp the diagonal lines - it makes it so much easier to get even stamping. 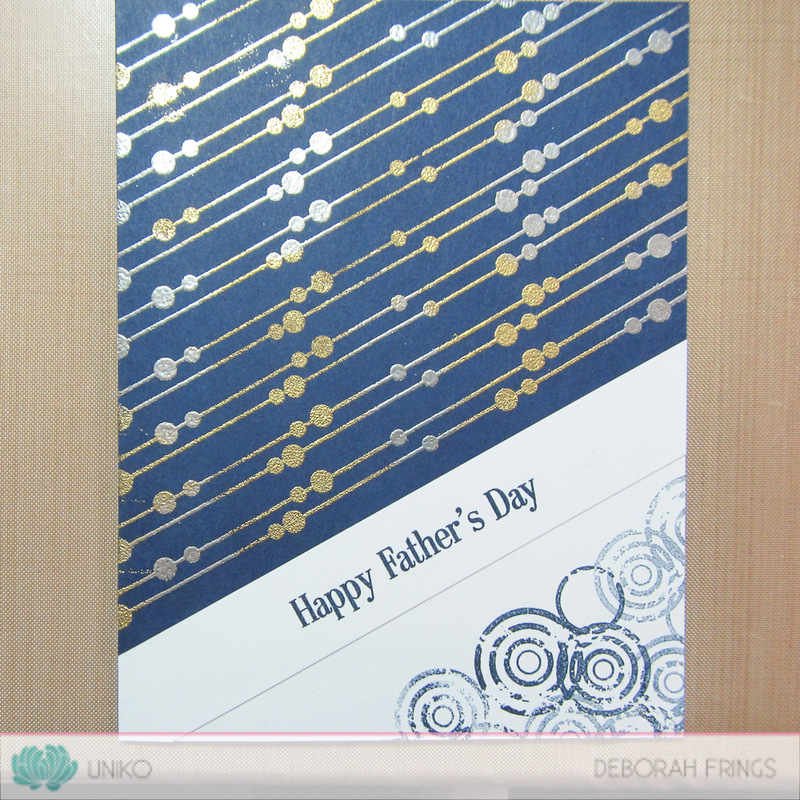 I embossed the stamped images with a mixture of silver and gold embossing powders, cut the panel to size and adhered it to a white card. 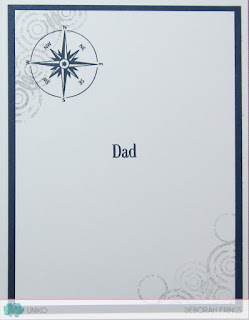 I added some distressed circles in the corner using first and second generation stamping. 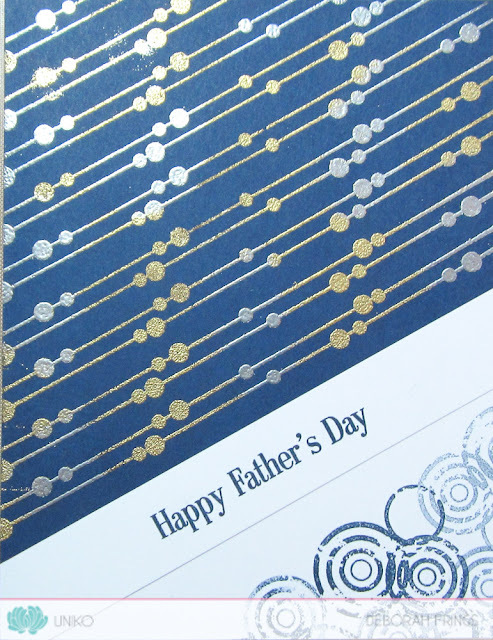 I cut a strip of white card onto which I stamped the greeting and adhered it to the card. 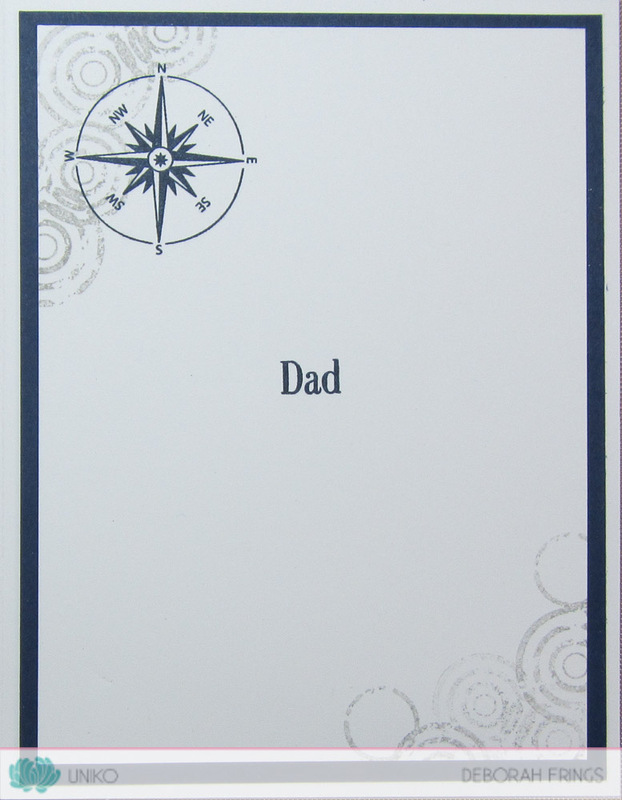 On the inside I cut a mat layer of navy card and on the white panel added some more circles, this time pale grey, a greeting ad a compass. 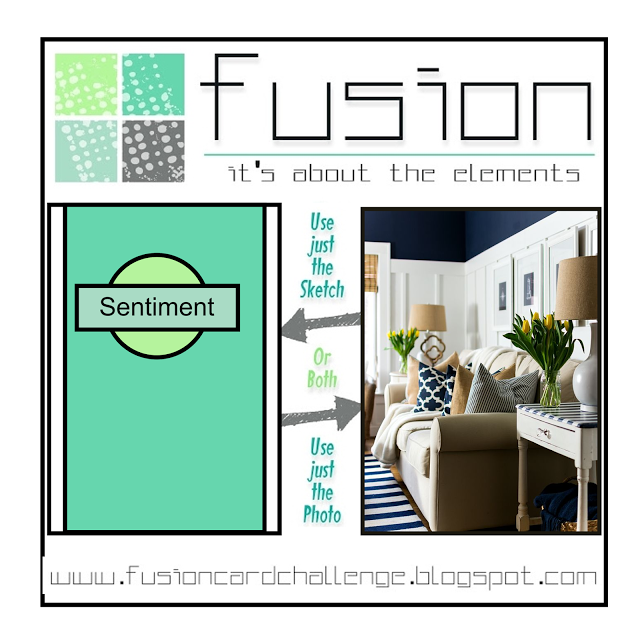 I'm submitting this card to the current Fusion - FUSION#73 challenge where I've been inspired by the navy patterns idea - although I used circles. You've got plenty of time to join in with this month's challenge. The deadline for submission is midnight (BST) on Friday 23rd June, that's 7.00pm EDT in the States. That's all from me today - I've got a busy day lined up. I need to get into my craft room and make a few DT cards and today I really need to work on my ironing pile!!! See you soon. Great stamping and I echo Lindsey by admiring your neat lining up of the stamped lines. Super card. 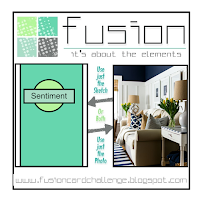 LURVE the design and the background, a Fabulous masculine card.